A friend of mine was eager to get her book published, so she attended a panel discussion by successful inspirational authors at a large publishing convention. The authors went into gnarly detail about all the requirements for a new author to be published. As prerequisite piled upon prerequisite and the number of hoops she would have to jump through added up, my friend grew discouraged. “I’ll never be able to do all these things they are telling me I need to do!” she anxiously thought. And so it is. When I wrote my first book, The Dragon Doesn’t Live Here Anymore, I submitted the manuscript to a dozen publishers, all of whom went thumbs down. So I published the book myself, using money my mother gave me - her life savings. As I was about to leave the printer’s office after making the deal, he said to me, “You know they say you don’t make any money until your third book.” Not what I wanted to hear. I replied, “That’s what they may say, but what they may not know is that my agent is God.” I was not being arrogant; I just had to uphold my work rather than letting it fall prey to negative limiting beliefs. Soon after the book was printed I found a brochure from the company that printed and distributed A Course in Miracles and related books. I considered sending my book to this company, but being shy to promote myself, I tossed the brochure in the wastebasket. The next day I received a letter from a friend, containing a copy of the exact brochure I had tossed. “I think you should send your book to this company,” she told me. Taking the clue, I sent the company my book. They printed and distributed the book and sent out gratis copies to churches and spiritual centers. Before long ministers were quoting the book from the pulpit, it became a bestseller, I received a multitude of invitations to speak, and my life changed in amazing ways. In the musical Damn Yankees, seductress Lola sings, “Whatever Lola Wants, Lola Gets.” We might even more authoritatively say, “Whatever Spirit wants, Spirit gets.” A Course in Miracles tells us that there are not conflicting wills in the universe. There is only the will of God. What God wills is always good, and it will always happen. More accurately, “the house that Spirit built.” Higher Power gave that book to Neale, who eloquently followed through and did his part. That same Spirit worked through Bob Friedman’s daughter. It was no accident that that book and Neale’s subsequent books have been so successful. Whatever Spirit wants, Spirit gets. If your life and your work are aligned with the intentions of Higher Power, the same Force will give you all you need to succeed. God will help bring your creative expression to the people who can benefit from it. You don’t need to manufacture success alone. You are in partnership with the Intelligence and Love that guides the entire Universe. Great events are not random. They are a part of a divine design. Author Ayn Rand found her way to America from her native Russia in 1926. Struggling to earn a living, she landed in Los Angeles. On her second day, she missed an early bus and took a later one. As she walked along a street in Hollywood, iconic movie director Cecil B. DeMille was exiting his driveway. She said hello to him, they chatted, and he invited her to go to the studio with him, where he was filming King of Kings. DeMille gave her a job as an extra and later hired her as a junior screenwriter. Rand worked her way up to being a screenwriter and eventually wrote the classic novels The Fountainhead and Atlas Shrugged, two of the most intellectually influential books of the twentieth century. None of the events in that chain were an accident. They were all Spirit’s will. If Spirit wants your book published, or your song, or your art, or for you to be with a particular partner, it will happen. Don’t be daunted by all the human rules you are told you must follow. Humans make up human rules, and God makes up God rules. A Course in Miracles tells us, “Your holiness reverses the laws of the world.” Listen to the lecture on how things get done, but remember how things really get done. 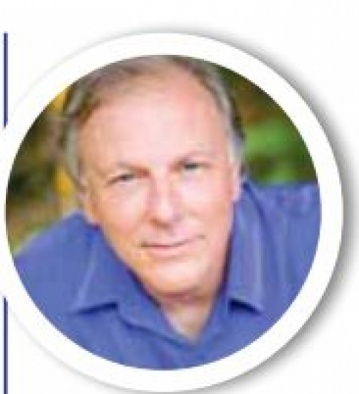 Alan Cohen is the author of many inspirational books, including Relax into Wealth. Join Alan’s upcoming Life Coach Training Program to become a professional life coach or incorporate life coaching skills in your career or personal life. For more information about this program, Alan’s books, free daily inspirational quotes, and his weekly radio show, visit www.alancohen.com, email info@ alancohen.com.